Livelihoods venture manages several funds that have in common to support rural communities in their efforts to reconcile a sustainable use of natural resources and a tangible improvement of their livelihoods, on the long run. With each project connected to tens of thousands of people over up to 20 years, and implemented by outstanding, local organizations in the field, the Project Coordinators of Livelihoods Venture play a key role to deliver results in line with our ambitious mission. 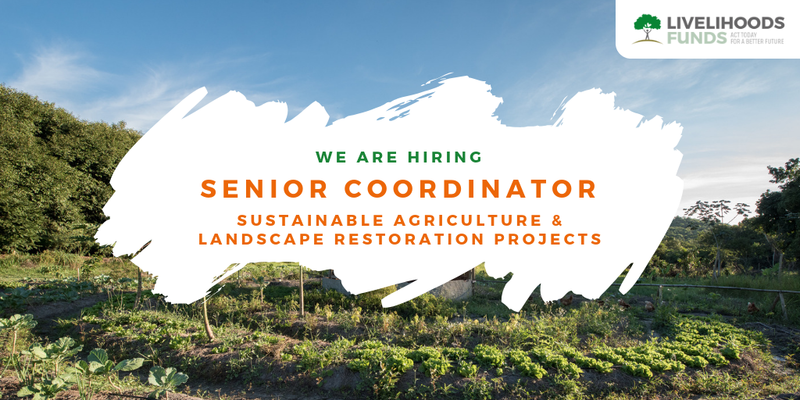 As Livelihoods Funds are quickly growing, we are about to welcome a new Project Coordinator in our staff. Coordinate project participants and activities on the long run, being part of project governance, anticipating opportunities and risks, monitoring and achieving results over the whole project lifetime. Multi-tasker. Prioritize, deal with pressure, keep track of the progress of several tasks simultaneously and be ready to rearrange priorities in response to new information. Track-record of work in developing countries with rural communities, field NGOs, private sector, academics. Functional oral French or strong drive to learn it is a plus. Livelihoods values diversity and is committed to creating an inclusive environment for all employees. Position open as of Dec 1st, 2018. Send us your CV and cover letter demonstrating >10 years of relevant professional experience, English fluency and track-record of the above.